Ford’s popular midsize sedan has returned as a 2017 model with some exciting design and technology updates. The Fusion’s stunning, sculpted exterior is a testament to contemporary design and will surely draw attention on the road. 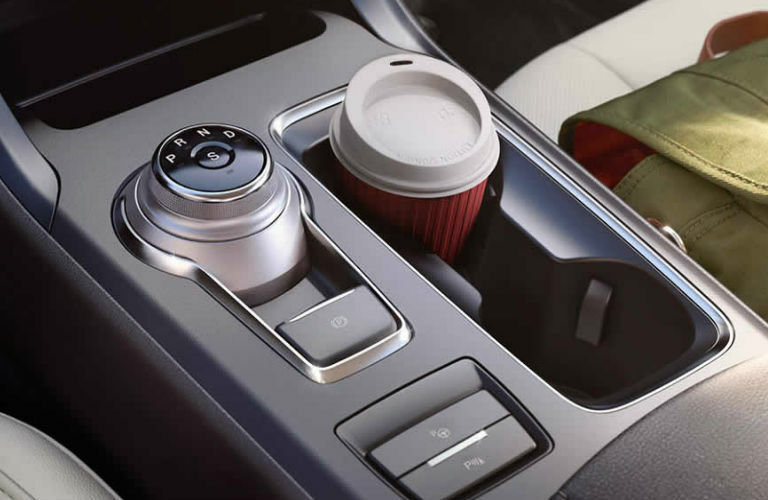 In addition to careful design, the Fusion is equipped with convenient features like available smart driver-assist technologies and voice-activated controls. Continue reading for more information about the 2017 Ford Fusion price and performance specs. The 2017 Fusion is offered in five models ranging from gas to hybrid to plug-in hybrid with a starting MSRP of $22,120. Drivers also have a choice between three powerful, but efficient EcoBoost engines: the 1.5L with standard Auto Start-Stop Technology; the 2.0L; and the 2.7L V6. All of the engines combine three different technologies—turbocharging, direct injection, and twin independent variable cam timing—to enhance performance and efficiency. Whatever you are looking for in a sedan, the Fusion is ready to impress. 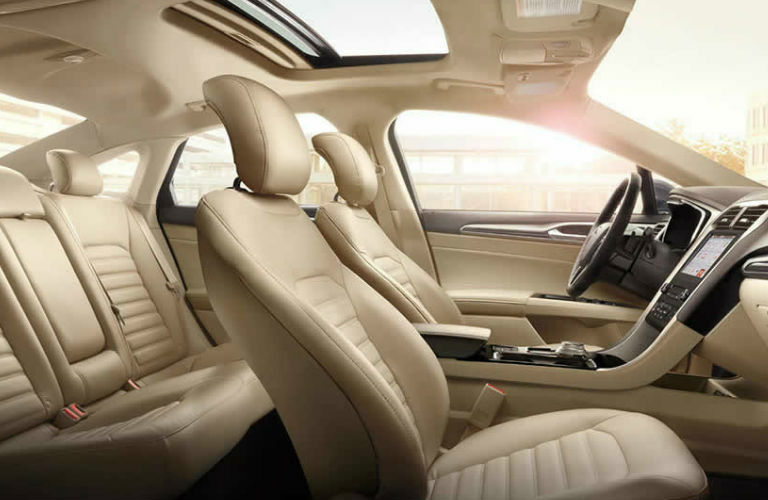 Click here to read about Lincoln’s all-new luxury sedan: the 2017 Continental. The Fusion Sport gets its own exclusive engine—the 2.7L EcoBoost V6 engine. The 2.7L V6 delivers high-performance power for serious driving enthusiasts. It’s mated to a six-speed automatic transmission with steering wheel-mounted paddle shifters. The Sport is equipped with intelligent all-wheel drive. The system’s sensors balance torque between the front and rear wheels to enhance handling and maximize traction. While this system is standard on the Sport, it is an available option on the SE, the Titanium, and the Platinum. The Sport also features a rear decklid spoiler, which provides a sporty touch to fit the name of the model. 19-inch premium painted tarnished dark wheels give the Sport a more aggressive and sporty appearance, as well, and leather-trimmed sport seats with suede inserts top it all off. 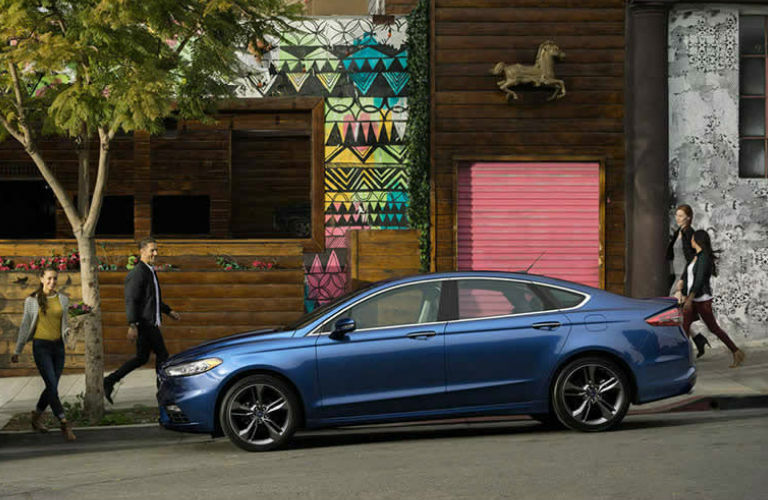 Optional packages offered for the Fusion Sport include the Sport Upgrade Package, the Sport Driver Assist Package, and the Equipment Group 401A value package. Starting MSRP for the Sport is $33,475 with an estimated MPG of 17/26. Check out some of our model comparisons of popular Ford and Lincoln models here. This entry was posted on Friday, July 8th, 2016 at 8:34 pm	and is filed under Ford Fusion. You can follow any responses to this entry through the RSS 2.0 feed. You can skip to the end and leave a response. Pinging is currently not allowed. What Yakima accessories can I get for the 2019 Ford Ranger? Is the 2019 Ford Explorer a good SUV for towing?